1. Bring large saucepan of water to a boil, add barley and cook for 40-45 minutes or until tender. Then drain well, running under cool water to stop grains from cooking, and transfer to wide, shallow serving bowl. Set aside to cool completely. 2. Add spinach, celery and onions to cooled barley and toss gently to combine. 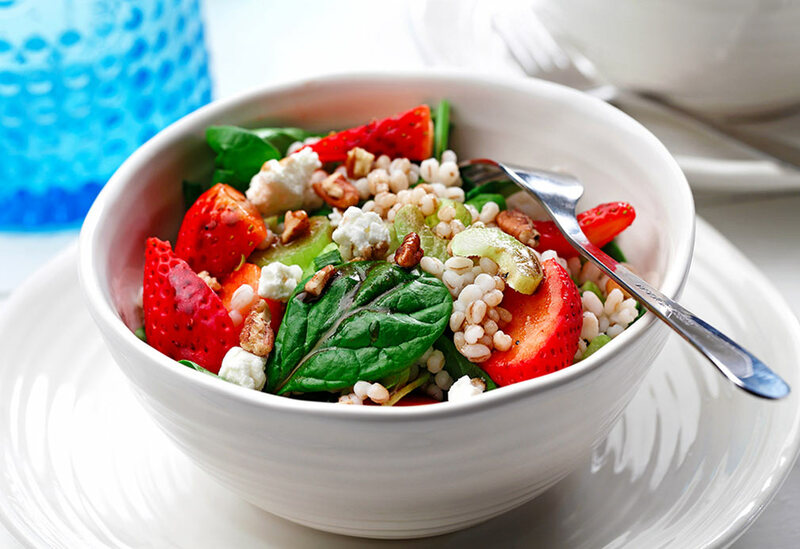 Sprinkle with strawberries, goat cheese and pecans. 3. To make vinaigrette: In medium bowl or small jar, whisk or shake together all ingredients. Pour over salad and gently toss to combine. 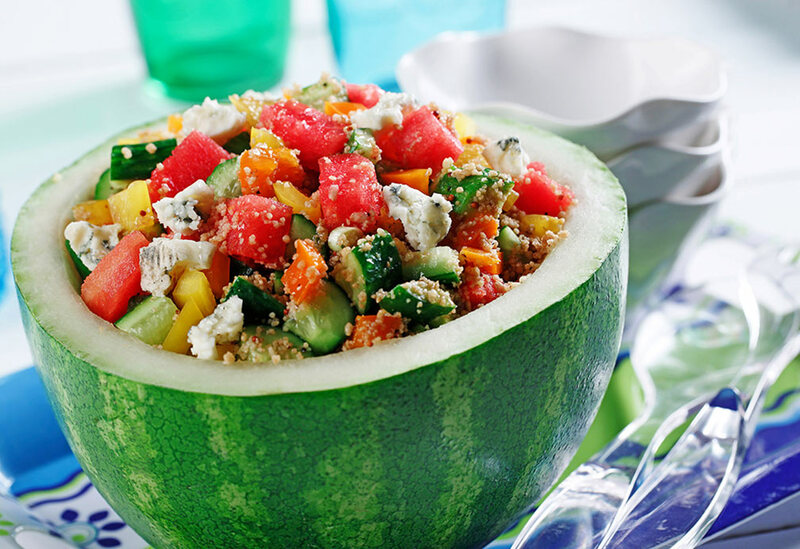 A flavorful watermelon salad with the sharp tang of Gorgonzola cheese will make any luncheon a success. Canola oil’s light taste and texture is ideal for a vinaigrette and works well with the dish’s lively flavors. 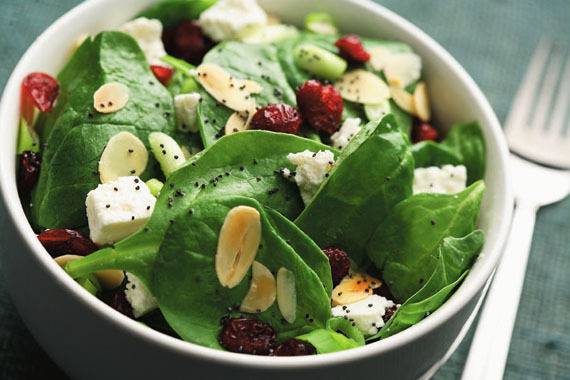 A tasty salad with spinach, cranberries, almonds and canola oil! 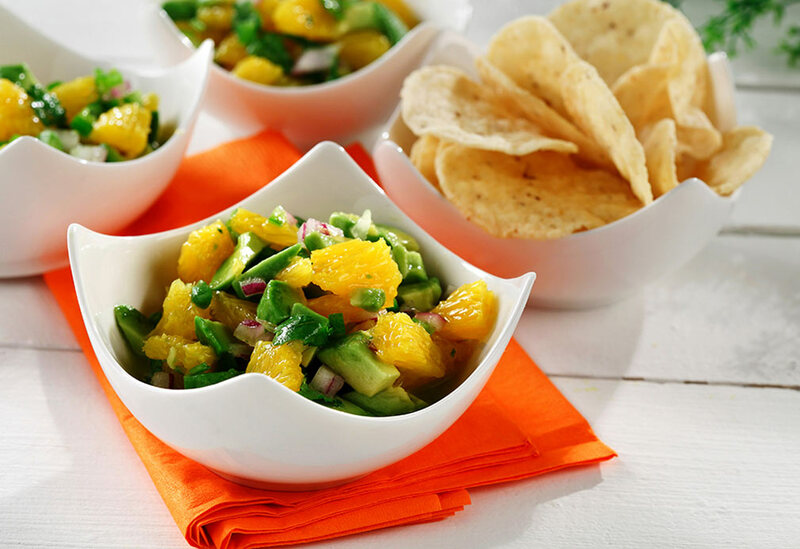 Save the dishes and serve this exotic salad in the hollowed out avocado shell.